Make the most of your time in Montreal with this shore excursion before or after your cruise. 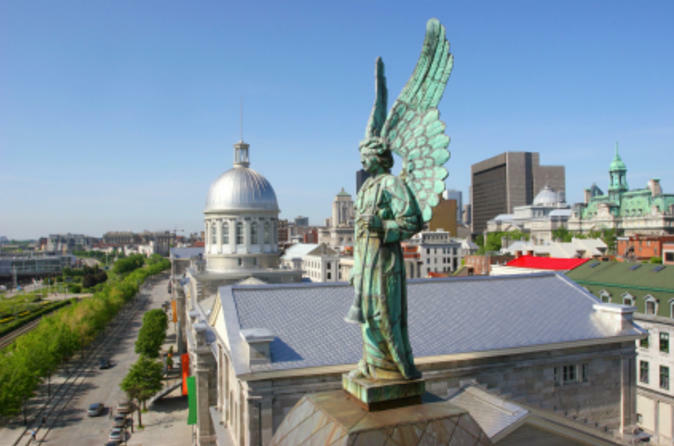 Aboard a deluxe coach offering live commentary by a friendly guide, you'll see several top Montreal attractions and more than 200 points of interest such as Old Montreal, Montreal Harbor, Notre-Dame Basilica, Chinatown and Mt Royal Park. Hotel pickup and drop-off is included.Port pickup is available upon request. While you’re in Montreal before or after your cruise, see all of this historic city's highlights on a 3-hour sightseeing tour. After pickup from your Montreal hotel, you'll travel aboard a deluxe coach and enjoy live commentary about the sights you see from your friendly, knowledgeable guide. Learn about Montreal's rich history, French heritage and modern-day culture as you explore Old Montreal, the city's historical heart whose Old Port will take you back to the times of French colonization. Pass historic buildings on your way to Notre-Dame Basilica, an impressive building whose masterful Gothic Revival architecture will captivate you. See Olympic Park, a complex of stadiums built for the 1976 Summer Olympics, and enjoy striking views of downtown Montreal from Mt Royal Park. Atop Mt Royal, you'll visit one of the world's most-visited shrines -- St Joseph's Oratory. The basilica's huge dome reaches 320 feet (97 meters), and is second in height only to St Peter's Basilica in Rome! After your Montreal sightseeing tour, you'll be taken either to your Montreal hotel or the cruise port terminal to begin your cruise. We will ensure your timely return to the Montreal port for this activity. In the rare event your ship has departed, we will arrange for transportation to the next port-of-call. If your ship is delayed and you are unable to attend this activity, your money will be refunded. See our terms and conditions for full details.